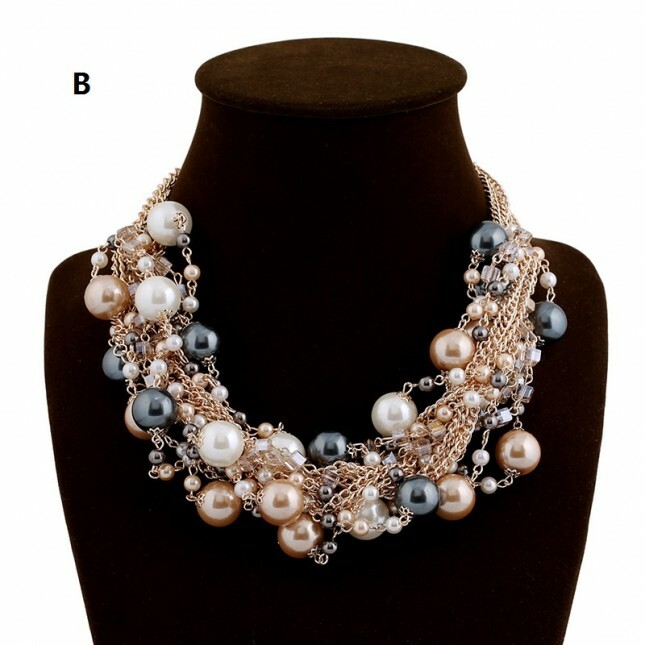 Fashion, sparkle,sassy and so on-trend.This fashion style luxurious collar choker costume necklace inspires amazing party style, with a breathable different size white pink dark gray pearls and trendy layering design. Pair with a bling dress for a look that’s best beautifully party or stage heroine. The statement necklace inner perimeter 42 cm, with a 7.5 cm extender chain, approximate drop length 6 cm.